Are you mad about space? Are you scared of the dark? 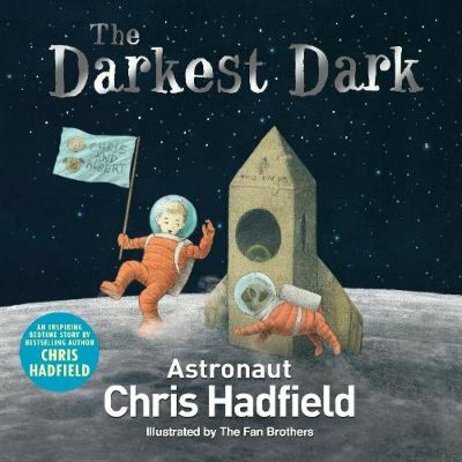 In this picture book, a real-life astronaut shows that darkness can be full of magic! Little Chris is a very busy astronaut. Saving the planet from aliens is much more important than having a bath or going to bed. Besides, bedtime is when the worst sort of alien appears: the dark. But when Chris watches the first moon landing on TV, he sees that the darkness of space is much darker than his bedroom. It’s the darkest dark ever, full of unknown things – and he can’t wait to explore it!